Davos [Switzerland], Jan 22 (ANI): Chinese tech giant Huawei on Tuesday called for a quick resolution to the case involving its Chief Financial Officer (CFO) Sabrina Meng Wanzhou, who was arrested in December last year in Vancouver at the request of the United States. New Delhi, Jan 22 (ANI): Giving up Indian passport will not lessen the chances of extradition of fugitive economic offender Mehul Choksi, although it can lengthen the process, according to former diplomats. New Delhi (India), Jan 21 (ANI): The Delhi Court on Monday allowed the Enforcement Directorate initiate the extradition proceedings against Sandeshsara brothers from Italy and Nigeria. New Delhi [India], Jan 21(ANI): Fugitive Indian businessman Mehul Choksi has given up Indian citizenship by surrendering his passport to the Indian High Commission in Guyana. Mumbai (Maharashtra) [India), Jan 5 (ANI): Liquor baron Vijay Mallya was on Saturday declared a fugitive economic offender by a special court here under the Prevention of Money Laundering Act (PMLA), becoming the first person to be declared so under the new law. New Delhi [India], Dec 27 (ANI): India cannot sign an agreement with the United Kingdom (UK) on the deportation of illegal immigrants as the proposed MoU does not facilitate the extradition of fugitive economic offenders, sources told ANI. Sao Paulo [Brazil], Dec 15(ANI): Brazilian President Michel Temer passed orders for the extradition of former left-wing militant Cesare Battisti, a day after the Supreme Federal Tribunal of Brazil ordered his arrest on Thursday. 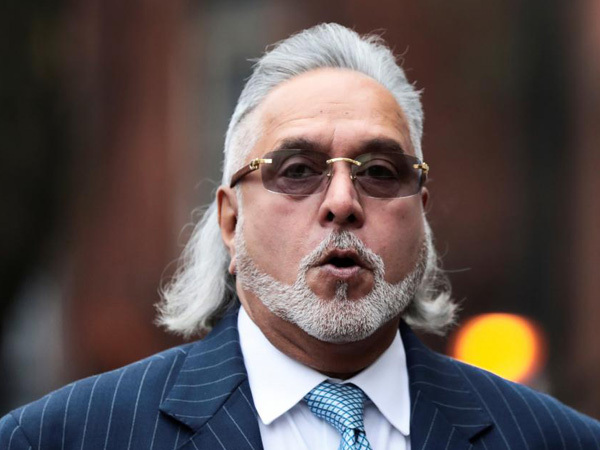 New Delhi (India), Dec 11 (ANI): Expressing "deep satisfaction" at the London court's judgement on Vijay Mallya extradition case, the Ministry of External Affairs (MEA) has said that it will continue to work with the UK government for early extradition of the liquor baron. New Delhi [India], Dec 10 (ANI): Union Minister of Law and Justice Ravi Shankar Prasad on Monday hailed the London's courts order on extradition of Vijay Mallya and termed the development as a victory of the Central Government's commitment to fight corruption.